Sherry"s Stamped Treasures: Retiring product List is out! Retiring product List is out! With only a little over a month until the official release of the 2015-2016 Stampin' Up! catalogue, it's time to make room for new products. You know what that means ... FABULOUS deals on retiring products. And by fabulous that means up to 50% off! Retiring products will only be available until June 2nd or while supplies last. Due to a high demand in their stamps, Stampin' Up! will continue to manufacture stamps until May 26th, after that once they are sold out they will be gone for good. 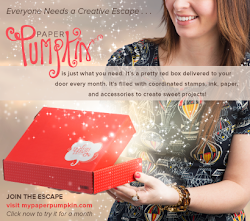 As many of you know, Stampin' Up! will also be discontinuing their digital line - My Digital Studio. Here is a list of digital content all marked down 30%! Stampin' Up! put together a little video showcasing some of the great products that will be retiring. If you'd like to have a look. Note if you are reading this in a reader, you will have to visit my blog in order to view the video. Orders can be placed in my online store or by emailing me. And remember with every $50 you order you receive a free gift from me!